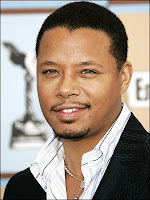 AAEA Hollywood: Terrence Howard Out & Don Cheadle In "Iron Man 2"
It is being reported that Terrence Howard has been unceremoniously dumped from "Iron Man 2." Howard must have pissed somebody off because he says in published reports that he already had a contract for "2." Howard told National Public Radio that it wasn't about money. Will Howard sue? Doubtful. He wants to work and suing studios, particularly big powerful ones, can get you black balled. 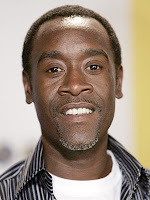 Looks like Howard's bad luck, or personality clash with somebody, is Don Cheadle's good luck. Clearly somebody is 'putting Howard in his place.' Everybody was looking forward to Howard donning the suit too. We bet that is the rub. They must have kept Howard out of the suit and Howard probably fought for it and the producers decided to replace him. So if Cheadle is not in the suit in "2" then we will have our answer.